Skin care is something I’ve always loved but now I’m a full-blown enthusiast. Nowadays I find my self spending time on skin care pages and aisles on weekends. I feel the older one gets the more time we should spend on our health & body. Lines would begin to show and elasticity would reduce. To stay looking ’20’ there’s the dermatologist advised regimen of Fruits, healthy meals, Lots of water, rest, moisturising, cleansing and SPF. Exfoliating comes under cleansing. It helps to unclog pores and prevent black head formation. Exfoliation is basically the removal of dead skin cells that are ready to be sloughed. On the long run it keeps the skin radiant and fresh. I learnt how to exfoliate from my mum, growing up she always used tea tree scrubs and exfoliators from the body shop, so when puberty hit I joined in. Today, it’s a staple in my beauty routines. I exfoliate about 3-4times a week depending on how my skin feels. 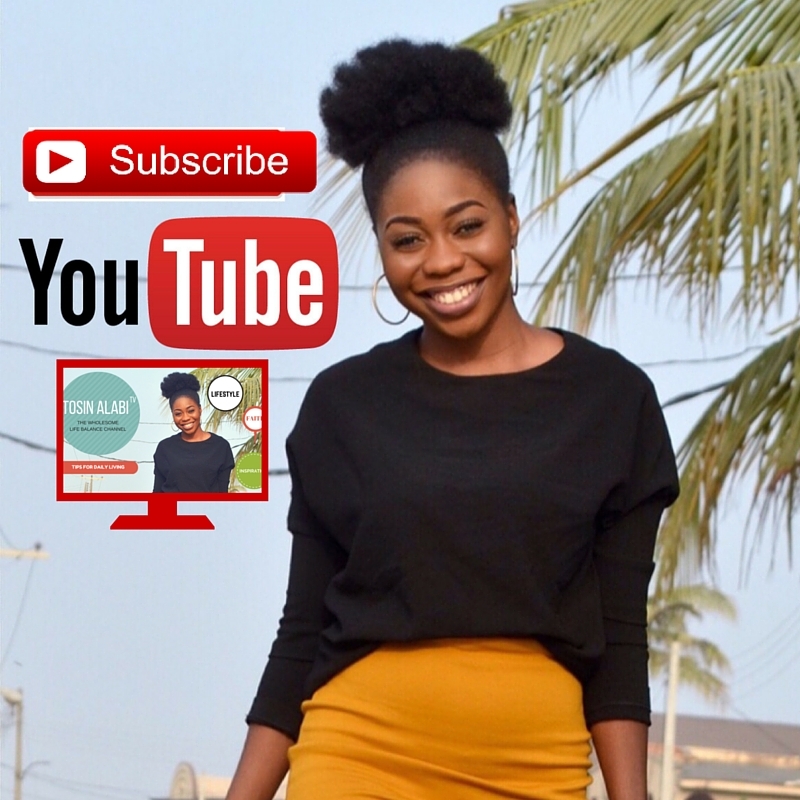 But it’s important to note that there is such a thing as over exfoliation, This is when you pull away cells that are not ready to be shed, this can trigger irritation and inflammation, and even worsen acne/breakouts. So be sure to do it moderately. I have used a variety of products but these are my top 4. They range from type to texture. From this you should be able to know more about non-invasive methods of exfoliating and hopefully find one that works for you. Starting from Mild to strong. 1. 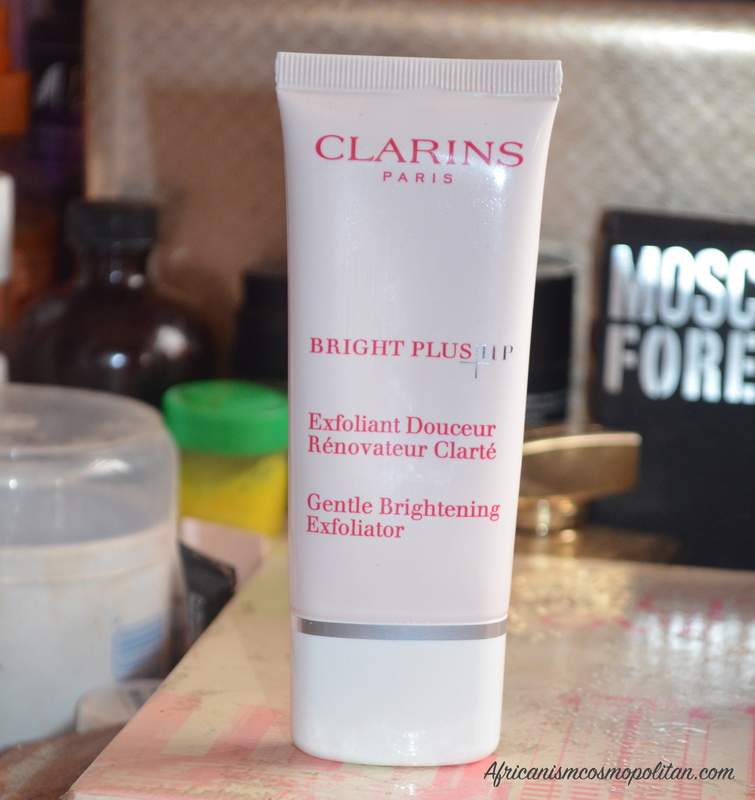 Clarins Gentle brightening exfoliator: I just got this recently and I absolutely love and would recommend it. I have this aunt that her skin is like a baby’s and swears by Clarins products. I decided to give it a try and it was love at first trial. When they say gentle they mean ultra gentle. The beads are super micro and doesn’t feel like you’re scrubbing anything. It has a lotion-soap like consistency and is ideal for people with sensitive skin. When you’re done your skin feels softer and almost appears brighter. Been using it for a month plus, so far so good! It smells great and costs about $30. 2. 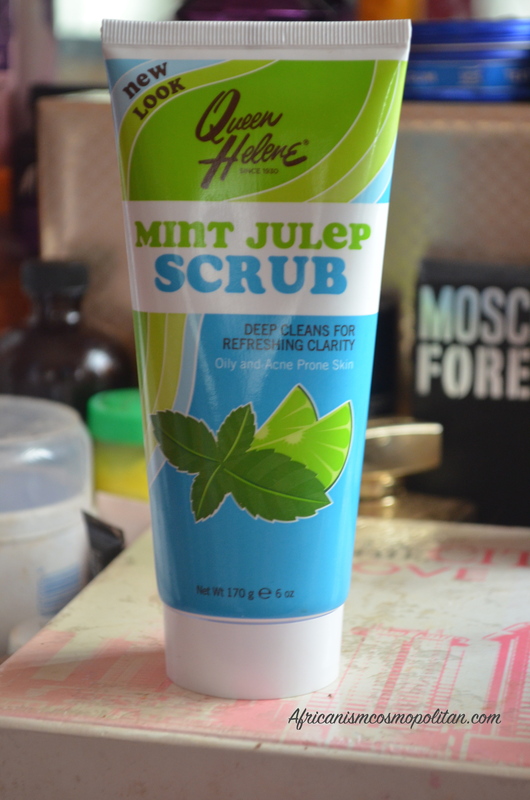 Queen Helene Mint Julep facial scrub: I’ve been using queen Helene products since my uni days, precisely their Mint Julep mask. I recently got this Mint scrub and it gives the same gratifying effect as the Clarins exfoliator i.e. Softer and radiant skin. It’s deep cleansing and is great for unclogging pores. However this is for the people who would like to feel the rubbing effect of a scrub. The granules are medium-sized but you’d definitely feel it as you scrub along. It also has a cooling effect caused by the mint, which is nice with Cold water. I love this as it helps to reduce oil…… great for acne prone skin. I use this product on weekends. 3. 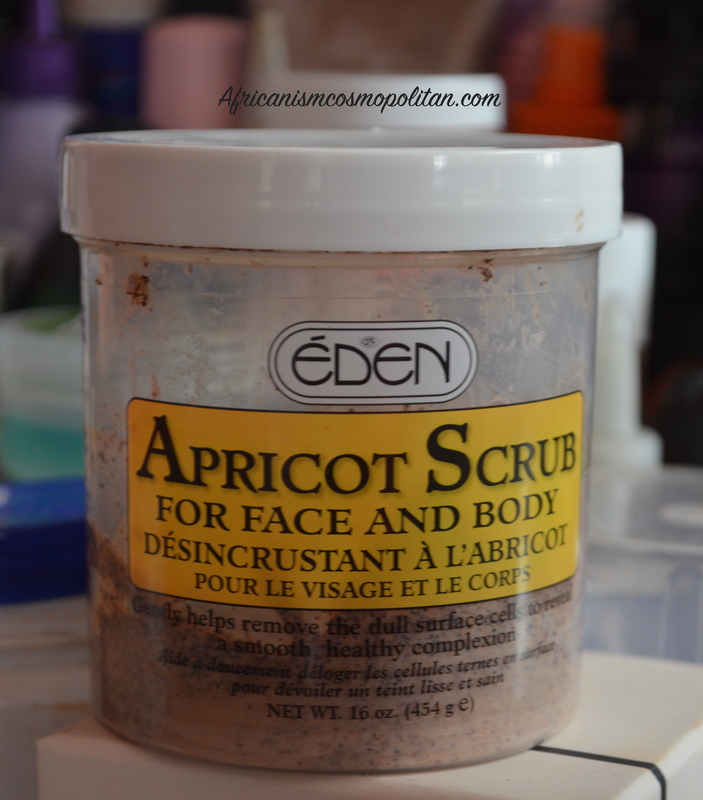 Eden’s Apricot Face and body scrub: I’ve raved about this product on my twitter before. I love the size and the fact that a tub lasts me for a long time. I use this on my face and neck sometimes. on days when I feel I’ve had a sun beaten-oily face, I reach out for this. I scrub in circular motions for about 15-30seconds and rinse off with warm water. The results are instant, baby face suppleness. It doesn’t dry out my skin, instead It hydrates and moisturises. The beads are quite large and some may find it harsh, but my face and neck are used to it. 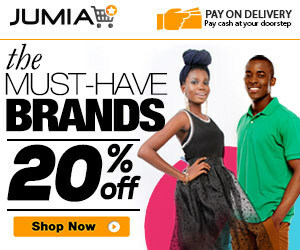 It’s also very affordable, costs between N900-N1200 at most stores. 4. Champneys Facial cleansing system: I have talked about this before HERE, It’s battery operated so I use it on weekends. it’s a cheaper alternative to the Clarisonic. The brushes don’t spin but the handle vibrates, so you simply use in a circular motion. 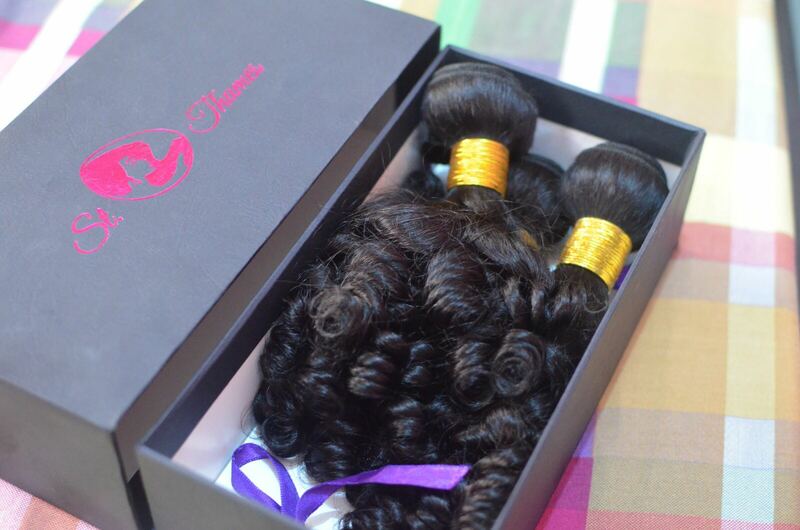 It comes with three different brushes( Soft, body, & exfoliating). I use the softer one more often because the exfoliating one is really hard. 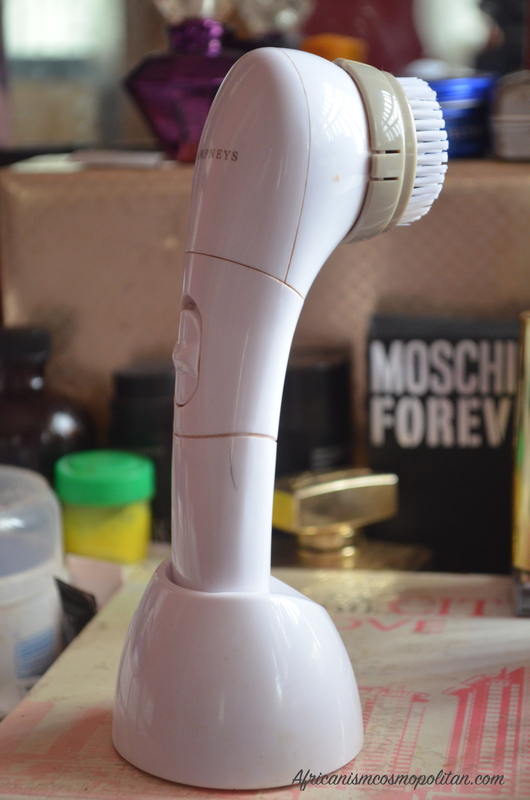 When I find white heads the exfoliating brush comes to my rescue. I use my regular face soap first then I go in with the brush. When I’m done, my skins feels really clean. Not necessarily softer but squeaky clean. You can find this at boots UK. 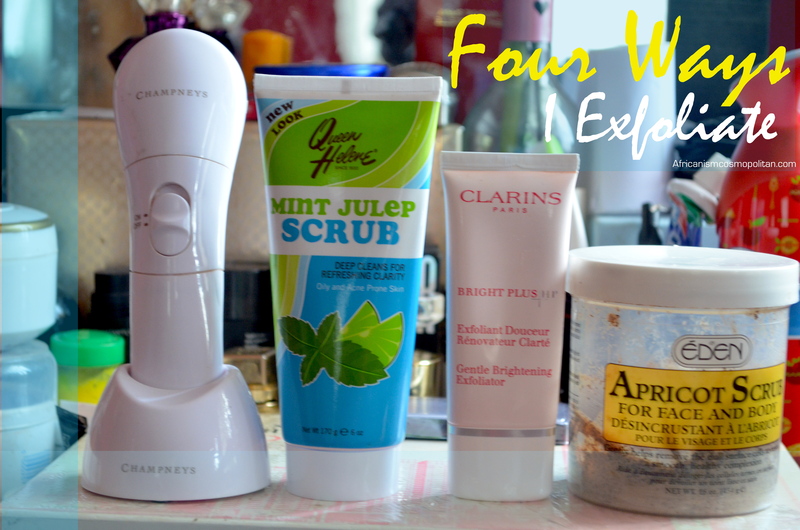 These are my top four exfoliating products presently, tell me which one you’ve used before or hoping to try. If you currently exfoliate do share your top products and tips below. I’d love to hear from you. Eden apricot scrub is my favorite: not only do I love the smell but I love the after effect on my face. Hello, I can’t say for the mint julep, but the Eden isn’t drying so it should be fine. 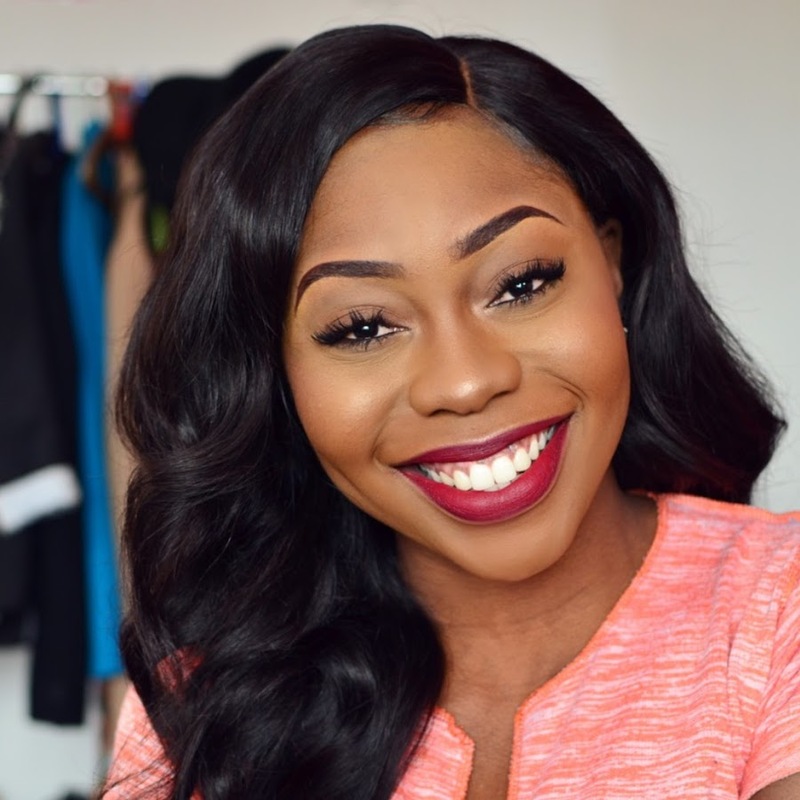 You can read more reviews online or even do a patch test to see how your skin reacts. 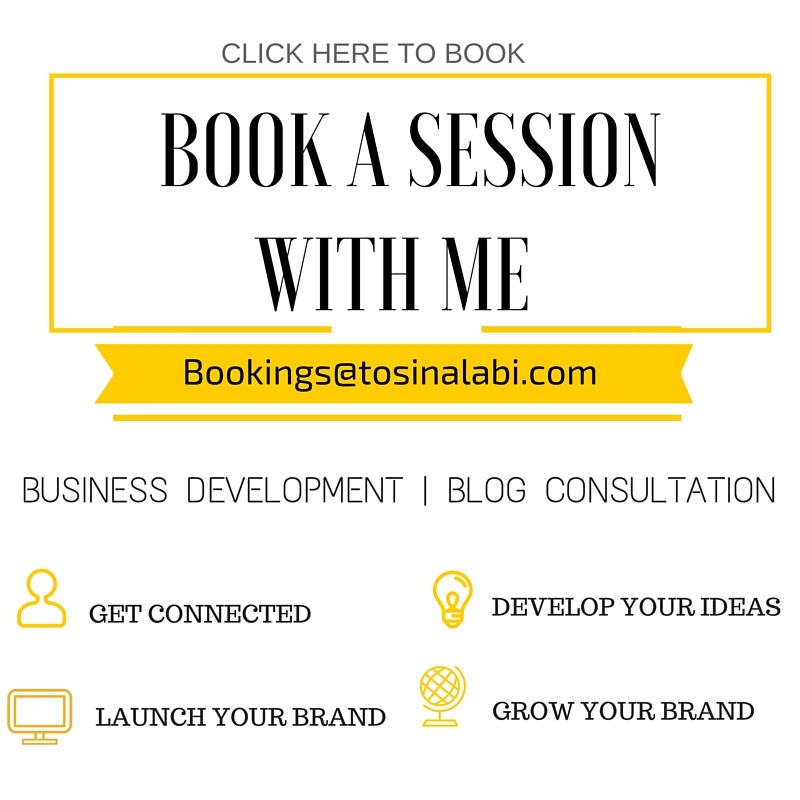 Thanks a lot Tosin! God bless. I use St Ives Blackhead Clearing Tea Tree Scrub almost everyday because it’s REALLY fine and gentle. Although, I think I still need the occasional facial and deep exfoliation.